The two largest ice sheets in the inner solar system are here on Earth, Antarctica and Greenland. The third largest is at the South Pole of Mars a small part of it is shown here. 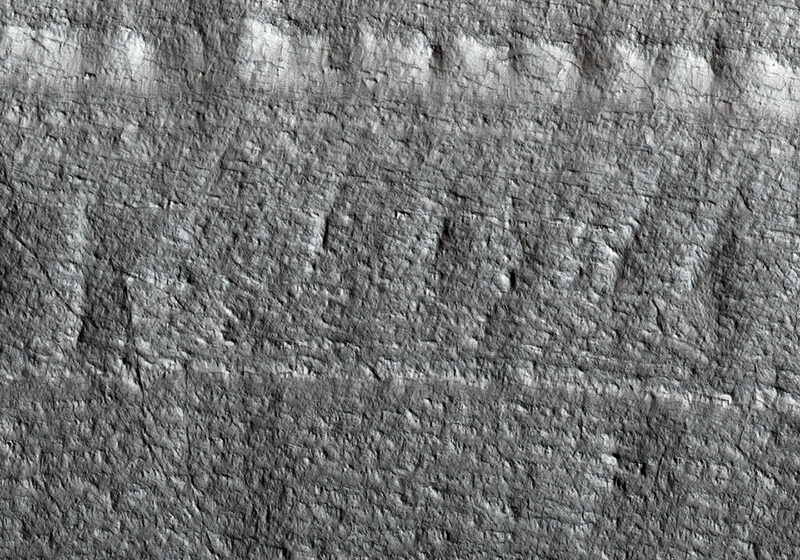 Much like the terrestrial examples, this ice sheet is layered and scientists refer to it as the South Polar layered deposits. The ice layers contain information about past climates on Mars and deciphering this record has been a major goal of Mars science for decades. This slope, near the ice sheet’s edge, shows the internal layers that have this climate record. This is a stereo pair with ESP_024025_1005 .